Soaked in a custard blend with crumbled feta cheese and fresh thyme, this Savory Feta Cheese French Toast will quickly become your family’s favorite! Hi, Friend! Happy Sunday! How’s your weekend been? I spent most of the weekend inside the house, wearing my most favorite purple robe, and watching the snowfall from my window. Don’t worry, I combed my hair and took a shower, too. You know what the deal is around here, right? I am Macedonian and very proud of it. But you knew that. Once in a while I come around here, make a mention of it, even share a recipe or two that I grew up on, such as the Oven Baked Macaroni and Feta Cheese or this amazing Meat and Potato Gratin. 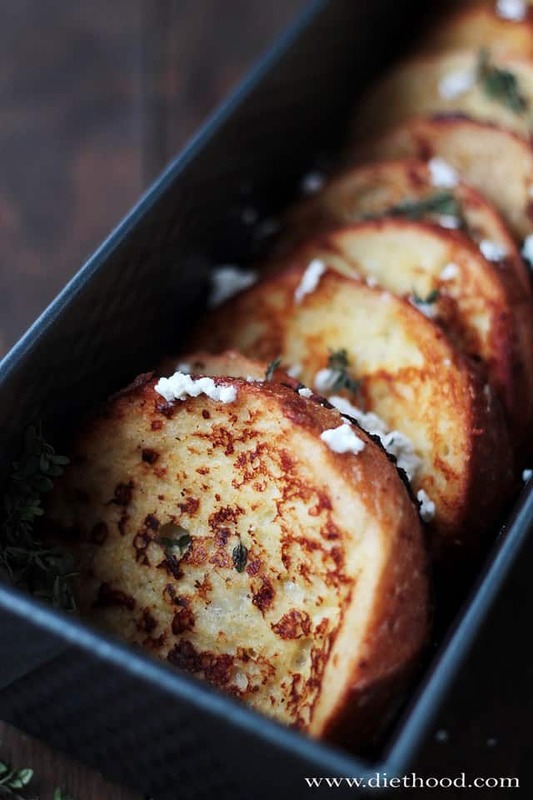 If there was a food-word that could best describe me and my taste buds, it would be this – this soft, fragrant, delicious Savory Feta Cheese French Toast. It.is.BEYOND! Growing up, this was our morning breakfast every Sunday. We (Macedonians) call this, “Przeni Lepcinja”, a.k.a. Fried Bread Slices, and not French Toast. In fact, the first time I heard it called that was when we came to the States. The French don’t call it French Toast, either! They call it Pain Perdu, a.k.a. Lost Bread. So there! I remember my Mom would purposely leave the loaf of bread on the counter the night before so that it would be as stale as possible the next day. We’d come home from Church, gather around the kitchen table and wait for Mom to deliver the goods. Eggs, milk, fresh thyme and feta cheese all soaked up by this sliced beauty. What could be better!? A side of plain yogurt is all you need to complete the meal. If you find yourselves fighting for the last slice, don’t worry, it’s quite normal. We do that every single time they make their appearance. Also?! This makes a great Brinner, too! Soaked in a custard blend with crumbled feta cheese and fresh thyme, this Savory Feta Cheese French Toast will quickly become your family's favorite! Line a plate with paper towel and set aside. Heat oil in a skillet or frying pan over medium-high heat. In a mixing bowl, whisk together milk, eggs, thyme, pepper and 1 cup crumbled feta cheese until completely blended. Dip each slice of bread in egg mixture, covering all sides, and scooping up bits of feta cheese from the bottom. Remove each slice and place on paper towel to soak up excess fat. Sprinkle toast with remaining crumbled feta cheese and serve hot. Just made this and it was AWESOME!!!!! Thanks for such a great recipe! YAY! I’m so happy you enjoyed it!! It’s definitely one of my absolute favorites. Savory french toast? Oh yes. Sign me up!! So many fantastic recipes – love them all! I am very very intrigued by the concept of savory french toast. This sounds, and looks, delicious. Delicious! Do you guys use a goat feta cheese or just a regular cow feta cheese? Otherwise I’ve tried slightly altered sample of the same recipe, and it tasted great! Hi Rose!! In fact, we use sheep feta cheese. Macedonian feta is almost always made with sheep milk. Sheep feta cheese? It’s sharper then the regular cow’s feta, right? However, gotta try to see. French toast, French bread – this looks absolutely delicious! I love the feta and thyme. 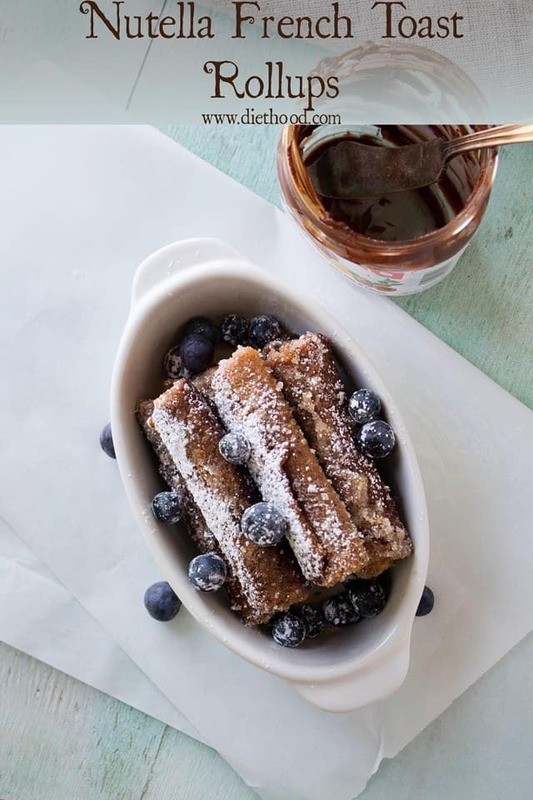 Definitely need to try this because we love French toast on for Sunday brunch! Thanks! Wow, I’ve never even contemplated savory french toast! What an utterly fabulous idea! I much prefer savory flavors to sweet ones, and I can’t wait to try your recipe. I adore savory foods made sweet and vice versa. And thyme is my favorite herb. AND feta is my favorite crumbly cheese! This looks amazing. 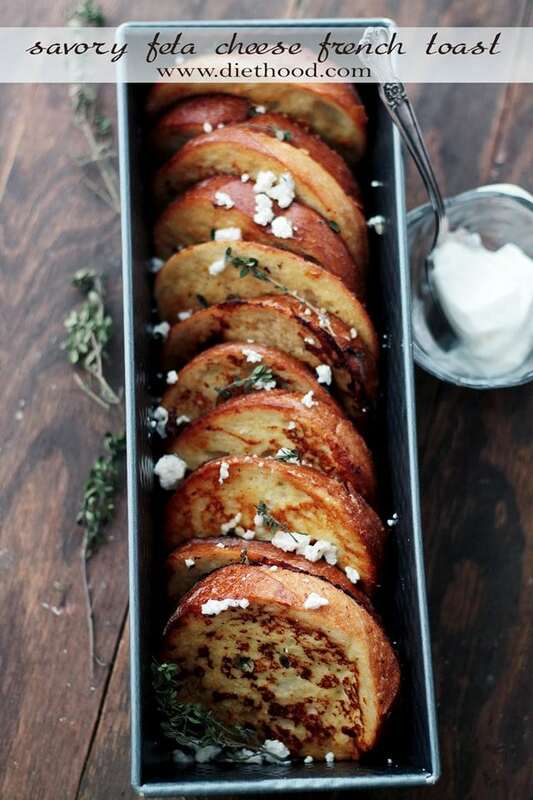 This savory french toast looks like the best ever! Feta and thyme – I am so in! Looks so delicious Kate! 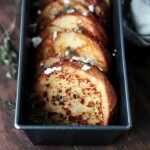 I love the idea of a savory french toast! I’ve never had a savory “french” toast. 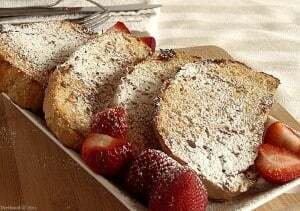 Around here french toast is always the sweet variety. But i love feta cheese and thyme – that would be so good. And if my kids don’t like it, all the more for me. Right? Savory french toast? Why have I never thought of this before? What a brilliant and delicious meal! Thank you for sharing! I could do this. And my Macedonian bred family would love it. Thanks for bringing up another great Macedonian recipe! Awesome! Sometimes I wish I ate breakfast especially when I run across yummy dishes like this one. My mom used to make this for us but then she dipped a lot of things in milk/egg and fried it. Like cauliflower. 🙂 I wish could remember what it was called. I wish I had some challah bread to do turn into french toast. With some maple syrup … Canadian eh! 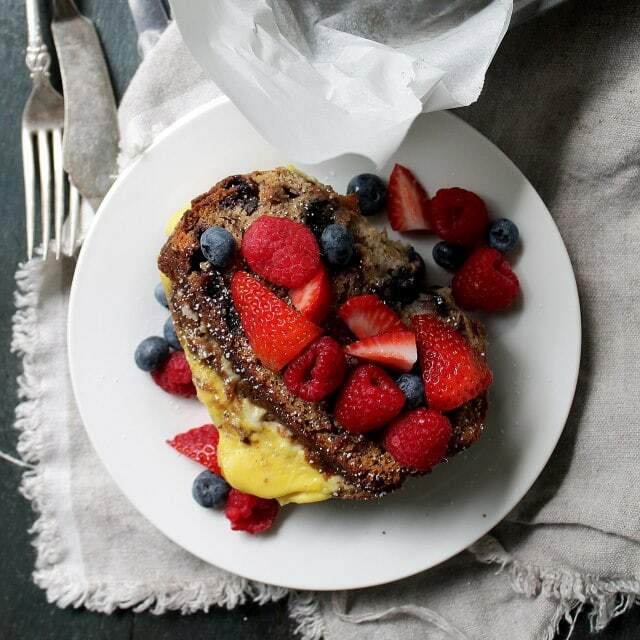 This French toast is a work of art! Everything about this recipe is making me weak in the knees. I want this right now! Ohhhh I love the savory aspect of this. And you definitely can’t go wrong with Feta! You perfectly browned this french toast. 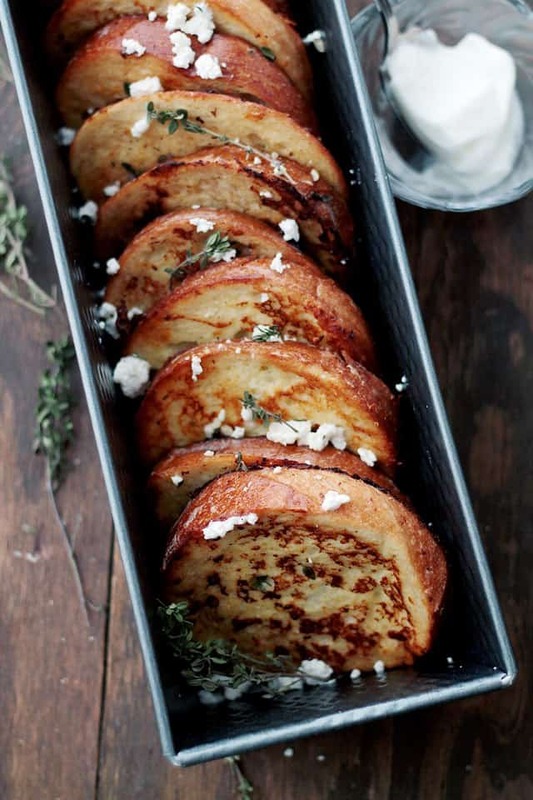 I never thought of savory french toast, but it looks and sounds great! I would never have thought to add feta to french toast. I will definitely try it next time I make it. Too bad I don’t have any suitable bread this morning.